White Heather Farmhouse kohteessa Kenmare, Irlanti: Varaa nyt! 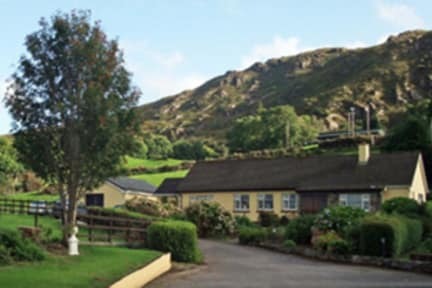 A warm welcome awaits you at our farmhouse located on over 100 acres, in a quiet location with stunning mountain views. 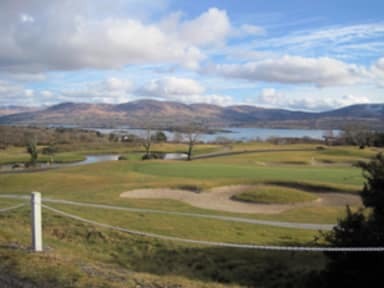 The White Heather Farmhouse is located a short drive from the heritage town of Kenmare with its many restaurants and shops. We have 5 Bedrooms with en-suite (toilet, wash basin and shower) facilities and Internet WiFi access. All rooms have a TV, hairdryer and tea/coffee making facilities on request. There is no stairs in the farmhouse and all rooms have mountain views. There is also a large parking area and a garage for storing bikes. Pets allowed, children, walkers and cyclists most welcome. Many of our guests take a stroll before or after breakfast to the farm, enjoying the panoramic views on the way. The more adventurous take a picnic to the top of the mountain and walk along the sheep tracks. The Lovett Family have been farming the land for generations. The old stone farm cottage still exists. Cattle mainly Hereford & Charolais, and sheep namely Suffolk & Scotch are reared on the farm. The sheep can be found on the low land in spring during the lambing season and are returned to the mountain in early Summer.